There is a potential problem with the tailgate kitchen on the camper trailer. 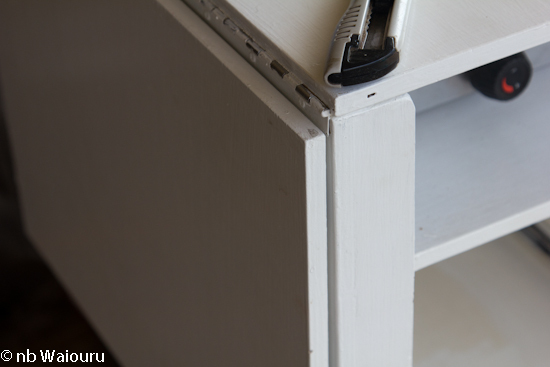 The kitchen has two vertically hinged panels which are used to create the extension when the kitchen is in use. However they form a potential problem once the kitchen is closed for transport as they could move around jamming the kitchen inside the trailer. I needed to find a simple solution to hold both panels in the 'closed' position. 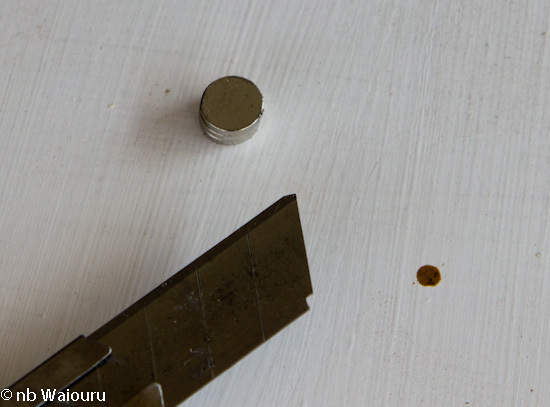 I've decided to use small neodymium magnets. eBay supplied me with five for $2.50. They are 10mm in diameter and 2mm thick. All five stacked with a razor blade to provide scale. 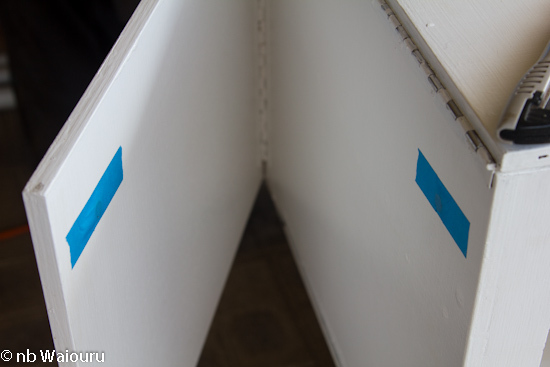 Now I needed to devise a method of creating a circular rebated hole on each of the opposing panel faces. 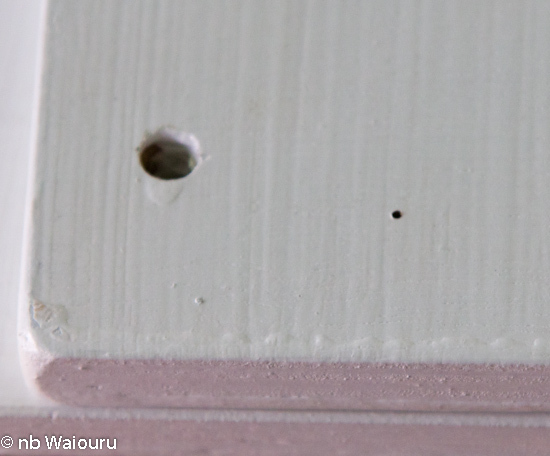 In the end I decided to drill a 1mm hole directly through both panels when they were closed. This created two pilot holes directly opposite each other. My exposed 1mm hole. I'll cover it with a dab of filler. 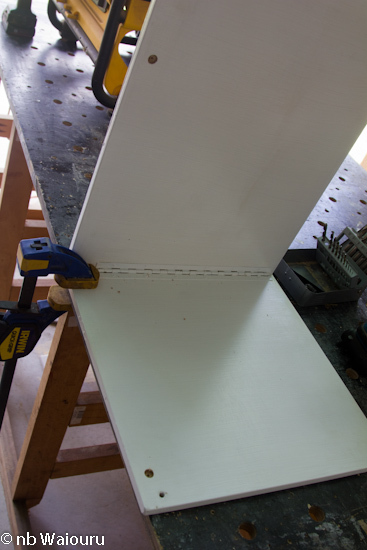 The last step was to add some construction adhesive into the base of the hole before inserting the magnets. Is that a drop of your blood in the first photo Tom? You be careful. As they used to say on Blue Peter 'Ask an adult to help you' especially when using sharp things!